If anyone wants to know anything about me- and I don’t mean just in a formal filming, but in a conversation, I’d like to assume that I’m talking to a woman that I meet, or perhaps even try to avoid, on a airplane, on a long airplane flight, where usually I refuse to talk to the people next to me- because I do an awful lot of flying and it’s long distance flying, ten, twelve hours, and if you’re stuck next to a loquacious person, it’s terrible. So I don’t even establish eye contact with them, but of course in a way I do want to know who’s sitting next to me, so every once in a while, perhaps when I get up to go to the toilet, I quickly look at them. And sometimes- usually if it’s a woman and it’s an interesting looking woman, I may in fact at some later stage while we’re eating and so on, start a conversation. And sometimes you have extremely interesting conversations because this- I say, conversations, not the sort of monologue like we are having today, because you’re sometimes prepared if you’re meeting the right person and it’s the right chemistry- you have to look them in the eye for that, and you’re suddenly prepared to talk about things with a stranger who you know you will never meet again but is an interesting one, about things you would not talk through with your family, with your closest intimates, and vice versa. And you sometimes can have conversations which you simply cannot have with someone who is intimate. And that’s probably the sort of conversation I’d like to start with and assume that I’m in an airplane and we’ve somehow broken through this barrier and I am looking at you and I say, well, this is a woman I would be interested in having a conversation. Now, unfortunately, we’re not having a conversation. 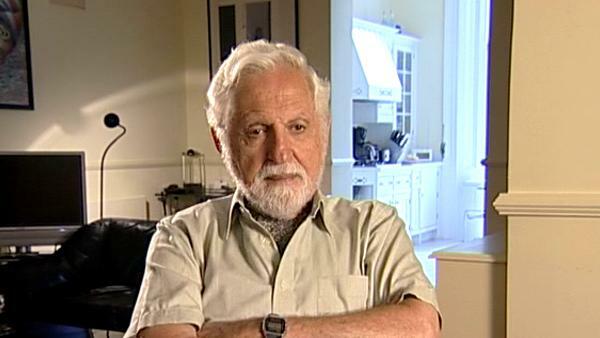 It will be sort of a monologue, but whatever it is, I clearly would not start with saying, my name is Carl Djerassi and I was born in Vienna and my father was a Bulgarian Sephardic Jew and my mother was a typical Viennese Ashkenazi Jew, and both of them were totally secular, and religion played no role in my life, etc, etc. I wouldn’t start that way. You see, I have already given you some biographical detail, but I would not have started that way because the rules of the games in this would be that you don’t even ask the other person for a name because you’re not going to meet them again. And you have an unfair advantage in that you know who I am and you’ve read something about me. And I really want to start with that unfair advantage, which not only you have, but most people who would be interested in me- which may not be that many, but in fact I have already disclosed as much about my life as I’m ever prepared to disclosed, because I’ve not just written one autobiography, I’ve not just written two autobiographies, I’ve in fact written three autobiographies. And you’re saying, my God, is this man either a total exhibitionist because an autobiography has to be an exhibitionist. You have to undress- you have to prepare to undress, but of course I am not willing to strip naked. So that’s all been written already, and in a way, I don’t really know why I should make it easier for the lazy person. If they are interested in me, go to the library and read it all, since these books are still in print. Go buy it and read it at your leisure, but of course that’s not the purpose of this. I may nevertheless every once in a while refer to them here, not only as a book selling offer, but rather to sort of- not even refresh my memory, but to see something in terms of organisation or perhaps even make a point.